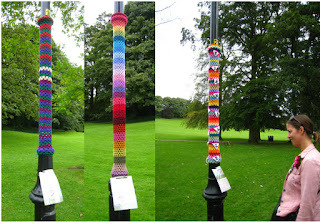 Thea, myself and Jane headed into Skipton at the weekend for another dose of yarn goodness. We found so many beautiful colours and so much inspiration. To some of the fluffy creatures we get our yarn from. The lovely Yarndale sheep were out on display again. As well as lots of other hand crafted beauties. And between spending hours hunting through the stalls we took a break to go on the Yarn walk. We had such a wonderful time and enjoyed it all so much, thanks so much to the organisers for another fantastic yarn filled day.